A video by a Pakistani artist depicting a portrait of Prime Minister Imran Khan has taken the Internet by storm. 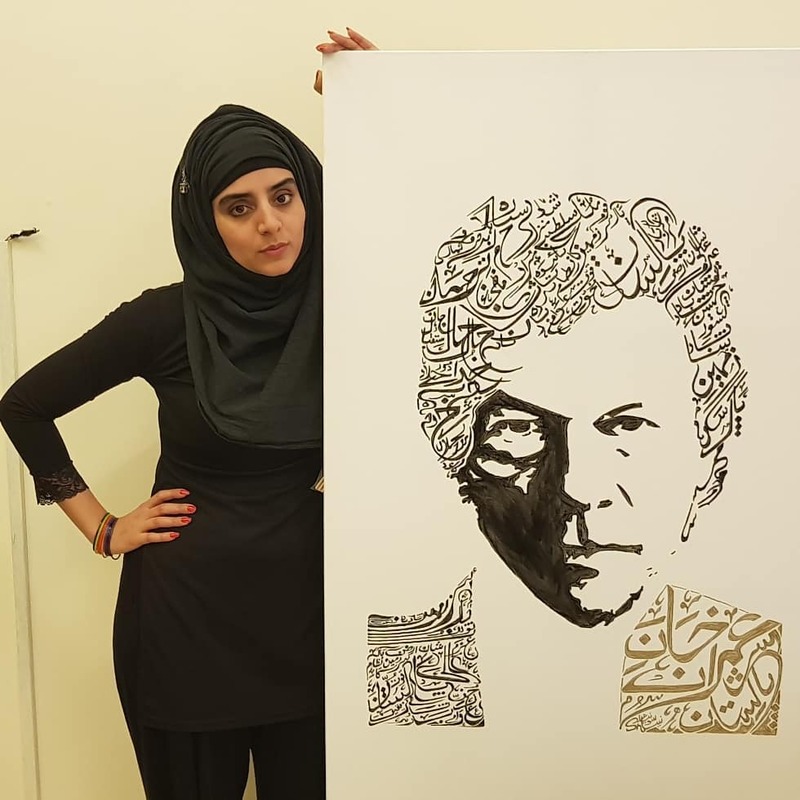 Sonia Nisa, a Pakistani calligrapher and painter currently living in Qatar, paid tribute to Prime Minister Imran Khan by drawing his portrait. But not just an ordinary portrait. She drew the features of the premier by writing the texts of the Pakistani national anthem in such a design that the calligraphy after its completion corresponds to a portrait of the Pakistani Prime Minister. Nisa explained her project in her Instagram post and added a timelapse video of her work on the project. "This project took about 8 to 10 hours, and I was awake until Monday at 2 am and maybe I could give it to him when he visits Qatar the next day (Tuesday, January 22, 2019). I do not get a chance to meet him, or give the gift to him, "she wrote. She says, however, that her work will be shown during her upcoming art exhibition at Doha's famous Souq Waqif art center. Nisa asked the digital community to help spread her work so she might one day present the portrait to the Prime Minister. Watch the video as she works tirelessly on a great piece of art.